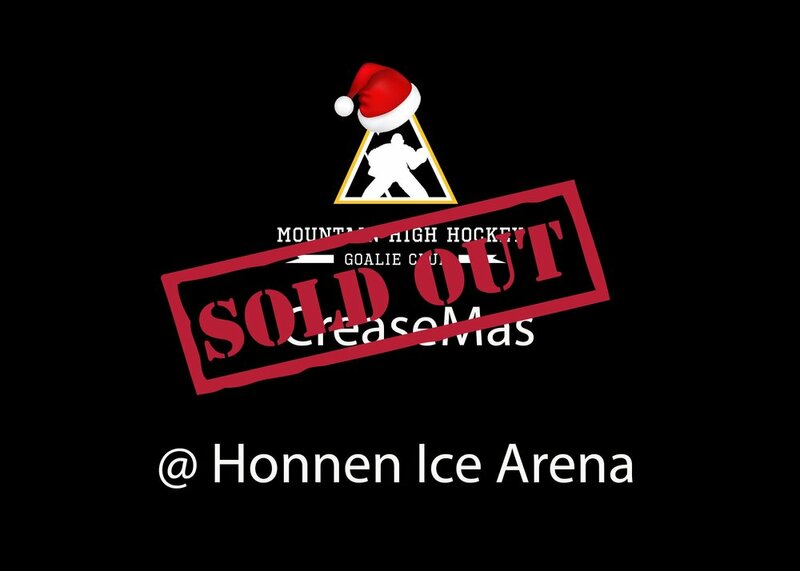 Mountain High HockeyColorado Springs CreaseMas Mini-Camp is Now SOLD OUT!!! Colorado Springs CreaseMas Mini-Camp is Now SOLD OUT!!! Huge thanks to everyone who has signed up for our 2018 CreaseMas Mini-Camp at Honnen Ice Arena in Colorado Springs. This marks the 3rd year in a row that we are sold out. We can’t thank all of you enough for your continued support of our coaching staff and the MHH Goalie Club.